But not great during the motorcycle class. 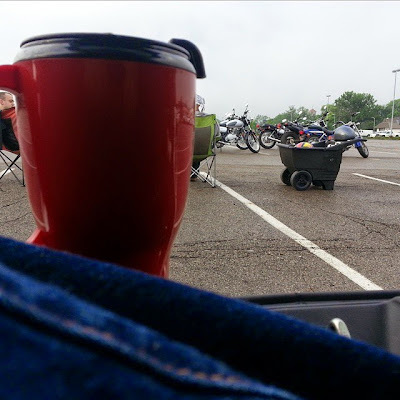 Luckily it didn't rain too hard during the class. Just a quick passing heavy shower. Today is my 18th straight day of work and I am getting a bit loopy... There is no way denying that. 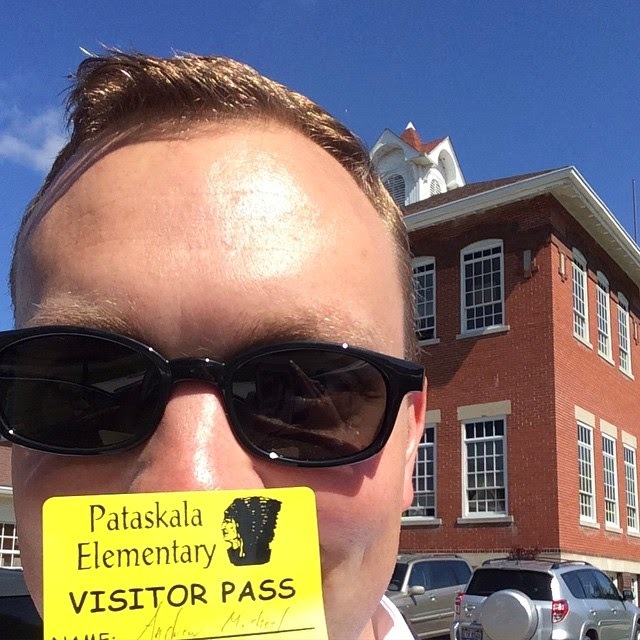 I finished my final school visit for the school year at Pataskala Elementary today. The kids were a lot of fun! Spring is making a comeback! Temperatures tonight will fall into the lower 40's and the upper 30's in rural areas. So be mindful of light frost possible in areas that tend to get colder. Cool with increasing clouds Wednesday with some isolated rain showers possible in the evening and overnight. 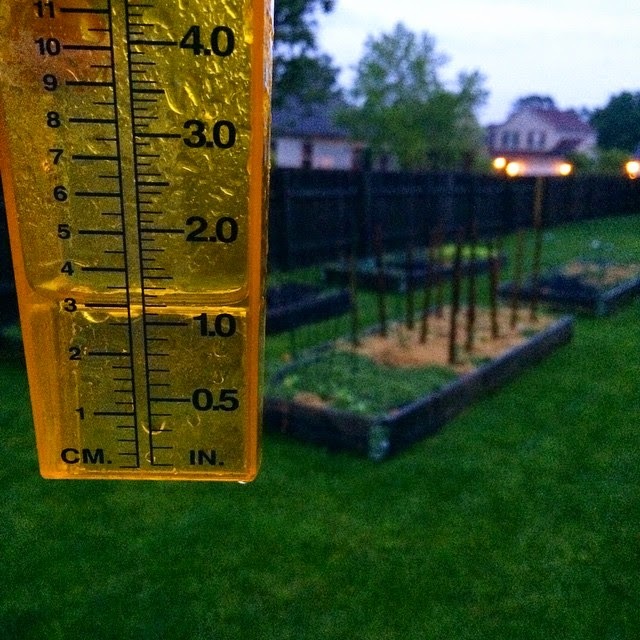 Most of the rain will be gone by daybreak Thursday. 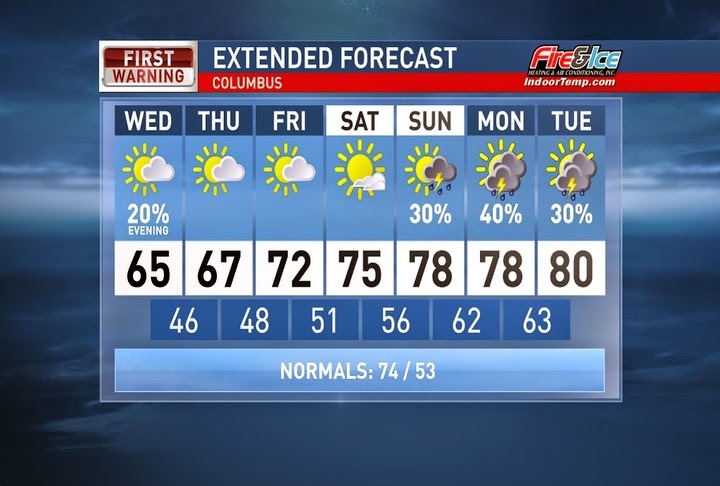 Partly cloudy skies remain for the rest of the week as our temperatures slowly warm up. 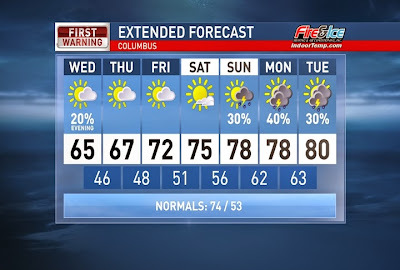 By Sunday we will be back in the upper 70's with scattered showers and storms returning. Have a good one!